CANOGA PARK, Calif. – October 10, 2017 – (RealEstateRama) — McCormick Construction, in conjunction with developer, Evolution Strategic Partners, has announced the groundbreaking of Evolution Warner Center, a 277-unit luxury residential multifamily development. The 426,000-square-foot, transit-oriented development is located at 6606 N. Variel Ave. in the heart of the Warner Center neighborhood. Construction cost is estimated at nearly $60 million. The new development is timely as it will serve the growing population of the area, easing traffic congestion from the populous downtown Los Angeles area and providing more walkability and accessibility to the nearby Orange Line. The complex is located near the 34-acre Promenade Mall, the Kaiser Permanente Hospital, the 1.1 million-square-foot Warner Center Business Park and the 1.89 million-square-foot Warner Center Plaza. Additionally, the development provides increased housing opportunities for the nearby San Fernando Valley, which comprises a mix of businesses in aerospace, health care, financial and professional services industries. The complex will comprise, four live/work units, 57 studios, 139 one-bedroom units, 73 two-bedroom units and four three-bedroom units as well as 309 structured parking stalls. Additional features and state-of-the art amenities will include: a resort-style pool and spa, fitness center, Internet lounge, pet wash, bicycle repair, rooftop barbecue terrace and an outdoor community kitchen. The McCormick Construction project team includes Diego Perez, project manager; Kevin Ellyson, assistant project manager; Maysam Razipour, project engineer; and Ken Wenger, project superintendent. Evolution Strategic Partners, LLC is co-founded by Todd Pratt and Parham Yedidsion, along with Todd Acalin, partner and director of development. The architect for the development is Urban Architecture Lab. 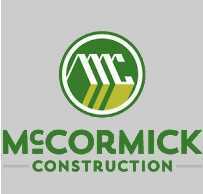 Since 1914, McCormick Construction has been impacting the culture of buildings and businesses in the Western United States. 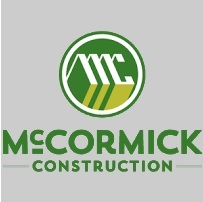 McCormick specializes in providing a full-range of services, including general contracting, pre-construction, construction management, design-build and tenant improvements. McCormick is dedicated to delivering quality workmanship and contributing to the well-being of the community in public service, job creation and economic growth. In addition to industrial, McCormick specializes in corporate and creative office, entertainment, education, interiors, retail, and multifamily residential complexes. McCormick’s multifamily experience includes mixed-use and hospitality projects. McCormick has completed projects across California, Arizona, Nevada and Utah. For more information, please visit www.mccormickbuilds.com. With its roots going back to the late 1990’s, the firm has evolved into its current operating platform known as Evolution, which was created to deliver mixed use apartment projects that maximize value and returns for the next generation. 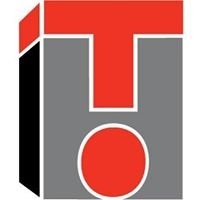 The Evolution team has over 150 years of collective experience in real estate development, construction and operation of mixed use, multifamily, and industrial assets. Evolution consists of affiliated real estate development and general contracting companies that provide seamless execution for each investment. Evolution’s aim is to build the most respected development company, while delivering on time and on budget projects at every turn. For more information, please visit www.evolutionstrategic.com. 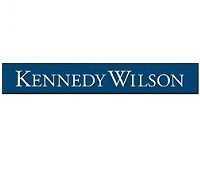 McCormick Construction was built on a legacy of respect, trust and expertise. Buildings that bear the McCormick signature reflect the rare consideration of owner, contractor, materials and environment to create a unique collaboration that will stand for generations. Since 1914, our projects have contributed to the culture of buildings and business in California, Arizona, Nevada, Utah, Oregon and Washington. McCormick provides construction and consultation services in the public and private sectors. From our first building to our next, we have maintained an unwavering commitment to doing things right - then and now and always.